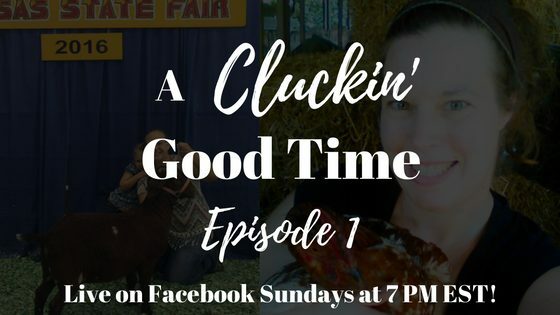 A Cluckin’ Good Time is a Facebook Live Stream Show that I’ve developed along with my friend, Mindy Young of Farm Fit Living. We talk about homesteading, kitchen hacks, chickens, goats, livestock, and pretty much anything that we think of. Lots of audience participation! A Cluckin’ Good Time airs Sunday nights at 7pm EST/6pm Central. You can view the show anytime – we leave it up on the FrugalChicken Facebook page for you to enjoy! What was your favorite part of this episode of A Cluckin’ Good Time? Leave a comment below!